For those of you who missed these earlier moments when the four main leads were having fun talking about their roles on June 30th, here are two different clips in Chinese and Vietnamese. So sorry, I tried to dig out the videos in English subs but there are none available. You can catch them laughing at 2:30 - 2:40ish and onward. Actually the clip is funny. If you miss Kangto and Mokdan, here are two videos of them offscreen with Kangto praising Mokdan, hehe...please click on spoiler tags...you can catch Joo Won talking about Se Yeon at 1:24ish, but watch all of it because it's good video of the four main leads. He talked about how joyful and lively she is again. Oh my. "She always smiles then we follow." Kangto: "It's not my fault at all." Kangto: "This is what you mean isn't it? "Kangto: "YAH! What do you think you are doing, treating your husband like this? "Mok Dan: "Still not letting go?" Kangto: "Mok Dan ah!!! Stop it!! It hurts. TT_TTKangto: "It's...it's all my fault! I won't do it ever again..."
Mok Dan: "Next time, no more using your credit card. "Kangto: " Can't you just forgive me already?" Hong Jo: "Why are you like this? "Shunji: " Don't you already know? "Shunji: "You still go to Angel Club often? Didn't I tell you not to?" Shunji: "What? You said compared to me, Kangto seems more family oriented? "Shunji: "Compare to Kangto, I'm better at earning money! "Shunji: "I also know how to make 3 layers bento!" Shunji: "So actually, I'm the one there is more family oriented." Shunji: "In the end, I still have to resort to flowers to make peace. "Shunji: "My romantic and family oriented sides...I must show them all to our Rara." @exile18, yes, this thread is alive. And I'm still rewatching gaksital..hahaha..
@exile18: Yay!!! Both of us had received it. This CD is awesome!!! Love it!!! WOW everyone has gotten their OST. Time for me to get one too! @coolreborn, thanks so much for the OST pics. Mine's coming soon...hehe...so no JW & JSY's pics? I guess that means I'm going to take their pics to a place to copy, kekeke. Hi all, I'm in the process of composing all the music videos of Bridal Mask that was posting here in BM's thread. If you by any chance want it to be included in my BM MV directory, please pm me the links. I'll post it as soon as I get a chance to type up the titles. I just went through about 100 pages of this thread. I will credit you for your links. Although this is about JW however since it's regarding him ending Bridal Mask..I hope it is okay to post it here for those who wanted to know what he's up to after Bridal Mask. "Gaksital" Joo Won the National Star - "My dream is to become that good an actor." 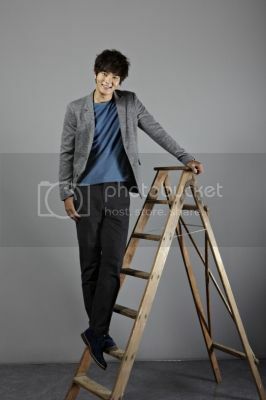 Actor Joo Won [25 years old, birth name: Moon Joon Won]; he probably is the epitome of the description "He grew up well". 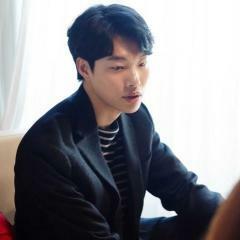 A student of Sungkyungkwan University's Performing Arts Faculty, he debuted via the musical "Altar Boyz" , starting from his first television drama Baker King  to Ojakgyo Brothers  and the recently aired Gaksital . The 3 dramas in which he participated in consecutively received good results. Adding this to his participation in the variety show 1 Night 2 Days, in the short span of 3 years since he debuted, Joo Won has become a National Star. We met with Joo Won who recently finished filming for Gaksital with great success. His expression showed that he had lingering feelings towards Gaksital, which was filmed for 6 months. Joo won expressed his thoughts: "I started running crazily since March...for it to end suddenly overnight, it makes me feel very empty." In the drama, Joo Won's character Lee Kangto is one who pledges allegiance to Imperial Japan. Lee Kangto and his brother [shin Hyung Jun] who wears the bridal mask duel and later on, Lee Kangto follows in his brother's footsteps and puts on the bridal mask, fighting for the Independence Movement. Imperialist Lee Kangto and National Hero Gaksital, no matter how one looks at it, these two characters are the extremes of each other. Before the fact that Lee Kangto was Gaksital was exposed, one can say that Joo Won was acting 2 different roles. The moment that Lee Kangto put on the mask was also a moment of distress for Joo Won. "Kangto too, myself too, I felt "Do I really have to put on the mask? At the start when I first put on the mask, the reason for me doing so was not so clear and obvious. But as I moved towards my goal, it seemed that it was then when I started to realise why and as the drama progressed, I managed to immerse myself more and more into Kangto's goals." What was the feeling like the moment when he finally put on the mask knowingly? "At the start when I first put on the bridal mask, it really felt unnatural. Wearing it made me feel suffocated and pressured and I wanted to take it off as quickly as I could. But as time went by, the mask became park of my face, like it was just another part of my face. Even if I wore it the whole day, I still won't feel uncomfortable." He only had one goal in this drama. That was to "relax". "I wanted to get rid of all the burdens I had. to not care about "how will this look on screen", I really used a practical way of thinking and so it seems like because of this, I cried even more and it left me with a lot of lingering feelings." Even after the director yelled "cut", his tears could not stop. Joo Won's sincere acting managed to express Lee Kangto's raw emotions to the viewers. Unwittingly, praises such as "He acts really well" started to come his way. Aside from this, in Korea's relations with Japan, the moniker "Anti-Japanese Actor" was even given to Joo won. But Joo Won thought that, as opposed to feeling burdened, he felt more embarrassed. "I am also a Korean so our hearts are all the same. Thinking for the good of Korea, this kind of thinking is shared by all of us. Myself and the rest of the actors and other people, we are all the same. Just because I acted in this drama, I received the label of "Patriotic youth" it made me feel really embarrassed." What would it be like if he was really living in the era of Imperialist Japan's occupation of Korea? Joo Won actually thought about this but he said "If I'm really living in that era, what type of decision I would make is really hard to say." Vicariously feeling the pain of that era, somehow it makes one agree with his answer. Through 1 Night 2 days and Gaksital, Joo Won has garnered many fans who are still in primary school. In 1 Night 2 Days, Joo Won is the cute magnae. In dramams and movies, Joo Won is a charismatic actor. Showing his many different charms, Joo Won has grown at a shocking speed. A little bit dazed, a little bit spaced out sometimes, Joo Won also surprises with his "beginner" mentality. "Regardless of whether my future projects are successful or not, I will still be like how I am now, firmly believing that an ambitious heart is not correct. On the contrary, the moment you throw away all desires is also the moment when you will be able to have a bright future. This is what I feel. So, even though I have a lot of desire towards my acting, but having an ambition like "I definitely must succeed" is a no no. If I maintain the same thinking that I have now, as I grow with the passage of time, will I also be able, like my seniors, to become an excellent actor?" It seems as if Joo Won has become more matured. Starting from Baker King to Ojakgyp Brothers and then Gaksital, every drama was a huge success and he became the "Ratings Man". His shoulders have become stronger but his humble attitude is no different from when he first debuted 2 years ago. With the conclusion of the 6 month marathon filming for Gaksital in which he gave his all, he smiled and said "It was my good fortune." He always hanged around the set and it was only after filming ended that he personally experienced his popularity. From the beginning when he only had adult fans, through 1 Night 2 Days and Gaksital, Joo Won has also managed to gain a huge number of teenage fans. "Last month I participated in a fan meeting. Just the fan's screaming alone was very different from the past. The screams made me feel like I became an idol. Hahaha. But everything around me is still the same, so is my family and the cafe near my house. If I had to say something was different, it is that I've earned a bit of money and more people know about me, can I say it like that? If I can earn even more money, the thing I want to buy most is a house." He said that the secret to every project's success is the script and luck. "The most important is the senior who possess excellent acting skills because they've help me in areas where I'm lacking as the lead actor." He pushed all the credit to others. He also said "Although I will have my ambitions, but it seems like ratings are not something that you can control. So, if I am able to push aside that desire, I will be able to do better." Putting on the mask and satisfyingly punishing Imperial Japan's Korean lackeys, Joo Won, who acted as Independence fighter Lee Kangto, seems as if he was still unable to get out of character. the bridal mask which at the start caused him much discomfort became a part of his face and taking it off left him feeling empty. Adding on the fact that his biological clock [*Ahem, no moaty thoughts here people!! *] has gotten used to the filming schedule and surroundings, now that filming has ended, Joo Won is still used to sleeping in a fetal position and even if he doesn't set his alarm clock, he will naturally wake up early. When we asked him what he got out of this drama in which it was his first lead role, he answered that he gained more fans and the sense of responsibility that a lead actor had to have. "Because the filming atmosphere depends on my mood, even if I'm in extreme pain or totally exhausted, I cannot show it. I felt restricted physically and mentally but this is something which I had to deal on my own. But it's not just me. I know that everyone else was also having a hard time so when we are on set, I would still ask after people kindly and smile cheerfully." Joo Won expressed his deep friendship with his hyung: "Although in the show we are enemies, in reality our relationship is so close to the point where people might even mistake us for lovers. Even though we just met each other, we hugged and we took care of each other more than the female actresses so the staff would always joke and say that the both of us should just start dating." 1 night 2 Days is a breath of fresh air for me. up until now, Joo Won has been taking on roles where the characters were either older than his own age, or the drama required solemn acting. this is why he said about his wish to act in a light hearted and relaxing romantic comedy. "It is the hardest to act about love." He shyly said, showing the passionate and youthful side to him "I hope that in every project that I take on, I will be able to grow and mature a bit more." Just be warned that it has a lot of sensitive scenes captured. Wow, I didn't realize this but episode 28 had mostly Kangto and Shunji crying. The girls didn't cry that much. @sunshine4ever: Sadly, there's no KT x MD pics... I was actually expecting one but will, there's none. @sa0irse: I got it from a local online store who buys from Korea. The OST looks nice !